fare and full bar from morning till late! 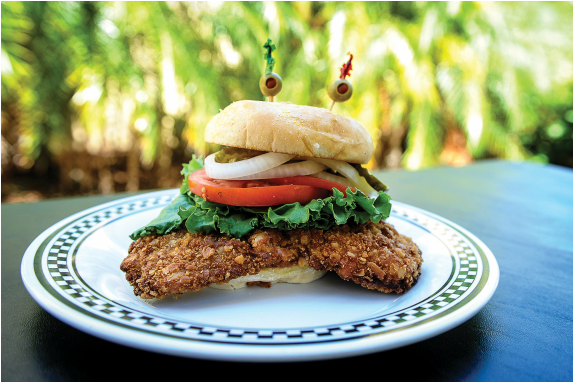 Redfrog & McToad’s signature Giant Pork Tenderloin Sandwich is a nod to owner Greg Kostka’s Midwestern roots growing up in the Pork Tenderloin Belt. Located in Butler Beach, just 1.5 miles north of S.R. 206 on A1A, you will find a festive, fun restaurant that has all the coziness of a Irish pub. Open daily for breakfast, lunch and dinner, Redfrog & McToad’s is, in fact, named after a famous pub in Ireland, a nod to the original owner’s heritage. Scott Covert, who was part of the opening team and became the owner in 2017, helped develop all of the signature menu items that have put Redfrog & McToad’s on the map! Who can’t resist the Giant Pork Tenderloin Sandwich with it’s fun presentation and mouthwatering flavor? “It’s essentially pork schnitzel on a bun,” says Covert. Redfrog & McToad’s now famous sandwich first debuted to thousands of attendees at a Taste of St. Augustine event just a few weeks after the restaurant opened. “People tried it, and they loved it. 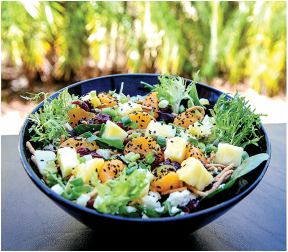 We promote it heavily as our specialty, and it’s a menu star.” “My team is always tracking what people love to eat as well as trends,” Covert said. Redfrog’s talented kitchen team translate that information into specials and signature menu items. 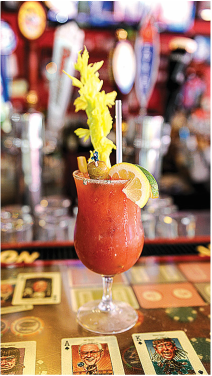 When it is all said and done, Redfrog & McToad’s literally has something for everyone. “We have put together an amazing corn beef brisket recipe that makes excellent Ruebens and Corned Beef sandwiches,” Covert explained. “Throughout our menu we have blended finger foods, signature sandwiches, salads, pastas, seafood and house specialties such as our mini osso buccos, together with daily steak and fresh seafood as well.” He said the goal from the beginning was to aim for a “Casually Cool” eating and drinking establishment with a full “Grub-n-Pub” menu. “Seafood is our biggest seller here,” Covert continued. “Our local customers love it, and tourists can’t get enough of it. 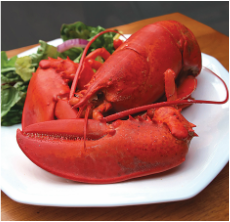 I am very particular about what seafood I buy and how it is prepared.” Two of his most popular offerings are the Lobster Night Special on Wednesdays, serving 1-pound Maine lobsters with all the fixins’ from 5 p.m. till supplies last and his Beer-Battered Haddock Fish Fry served daily. These seafood stars mingle with other favorite selections such as coconut shrimp, seared ahi tuna wonton crisps, fried seafood platters and baskets as well as bourbon glazed ribs, country fried tenderloin, shepherd’s pie and bangers and mash. Freshly ground burgers, signatures sandwiches, wraps and tacos offer additional variety along with thin-crust pizzas, entree salads, and award-winning chowders. It’s a perfect menu for dining with family and friends and watching sports on the 25 high-definition televisions throughout the restaurant and bar. 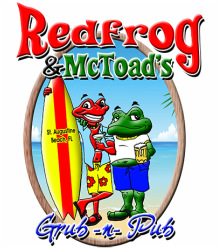 Redfrog & McToad’s is open daily 7:30 a.m.-11 p.m. (except Mon., open at 11 a.m.). Full bar features Happy Hour 2 to 7 p.m. daily and major league game day packages. Children’s menu and takeout. 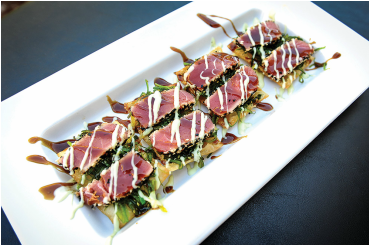 In addition to Irish and American pub fare, Redfrog & McToad’s also offers innovative appetizers such as Seared Ahi Tuna Wonton Crisps—sushi-grade seared ahi tuna served with seaweed salad on a crisp wonton, garnished with cusabi and sesame seed teriyaki sauce. ​TO EAT AS WELL AS TRENDS." 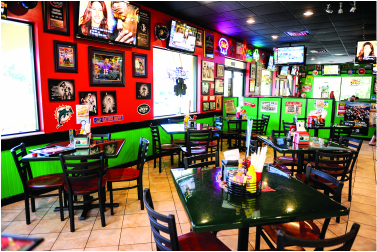 Bright, fun and colorful describes the lively, family-friendly interior of Redfrog & McToad’s at the beaches. "OUR LOBSTER SPECIAL ON WEDNESDAY BRINGS IN THE CROWDS. YOU CAN'T BEAT IT ANYWHERE IN TOWN."